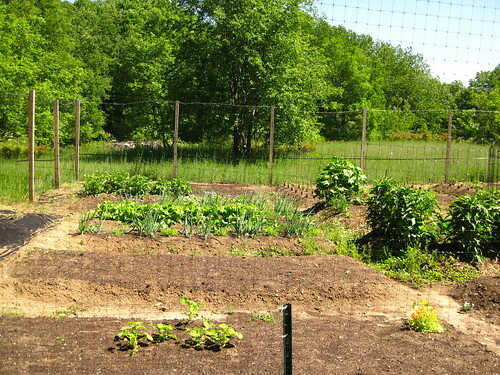 Our 2013 garden began with the removal of our 2012 garden — a rough and rugged sort of “out with the old” time spent hunched over and reawakening certain muscles that had retreated over the long winter. Within just a few weeks’ time, the view from the northern corner had changed fairly dramatically. 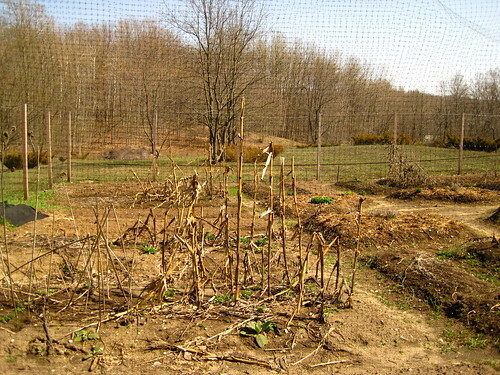 What was barren — a veritable petrified forest of has-been sweet corn and sunflowers — was at last tidier-looking with even a few hints of green poking out. 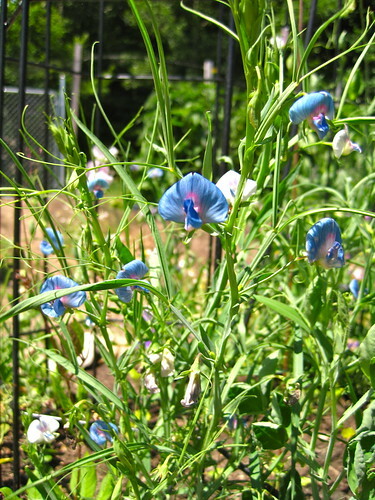 Our 2013 garden also began with the discovery of new life we’d not anticipated — quite a lot of it, actually. 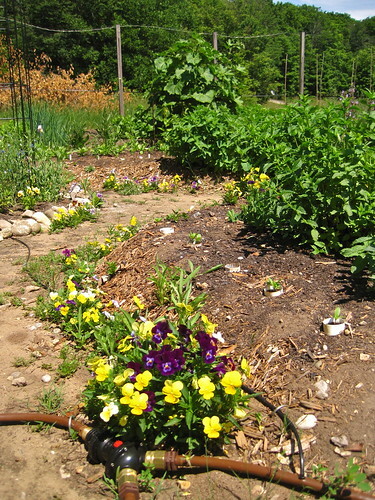 Marty’s center garden — the one we’d filled in 2012 with flowers and a few bunches of catnip for good measure — had (with the help of wind and rain) spread throughout the entire garden. 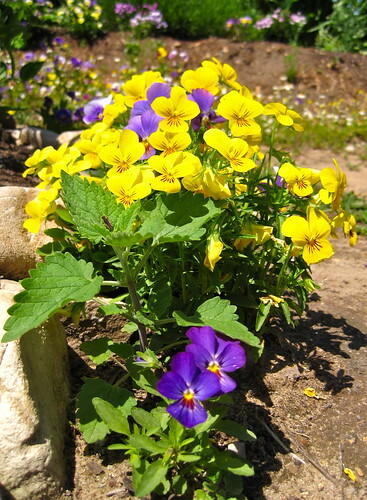 In the walkways, on the sides of beds — in every corner of the garden, there were pansies of all hues plus mallow, alyssum, catnip, and lots and lots of chamomile! It became a delicate situation when we tried to remove opportunistic weeds while leaving the cutesy flowers and herbs behind. The chamomile was probably the most unexpected of the uninvited guests, honestly. I’ve never had any trouble sprouting it from seeds in little peat pots, but the very idea that the plants could do it so much more efficiently had never crossed my mind. 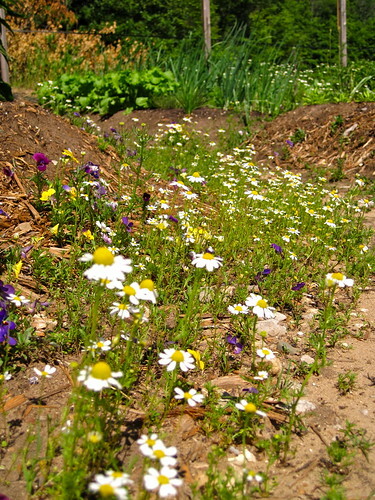 Wading between the garden beds with fragrant chamomile blossoms tickling your knees was a serendipitous addition to the work of readying the garden for a new season, to say the least. Chamomile has a relaxing, honey-and-apples scent that it releases with the slightest brush against your fingers or even the wind. Rather than having to wait for the new chamomile I’d sprouted to bloom and prosper, we’ve been able to harvest and dry a good bit of it already. Though, admittedly, some of the impromptu chamomile simply had to go! As for the things we ourselves planted, this year, I’m happy to report that our earlier start has meant a few tasty harvests, already. 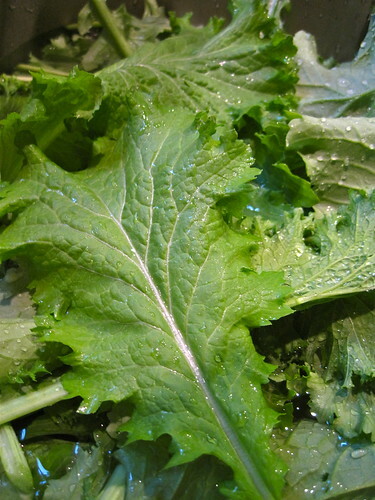 Just after the solstice, we were able to harvest a heaping helping of mustard greens. 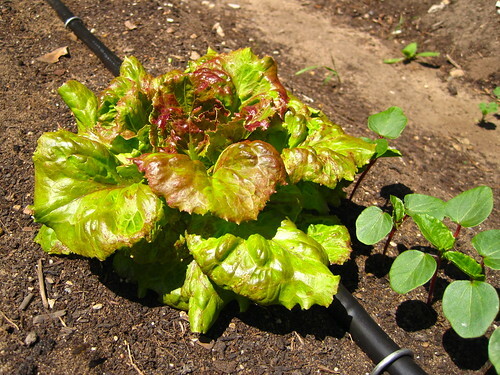 Pretty much any greens — kale, chard, collards, spinach — are best grown in cooler temperatures and can be sown in both spring and late-summer to reward the gardener with two harvests. 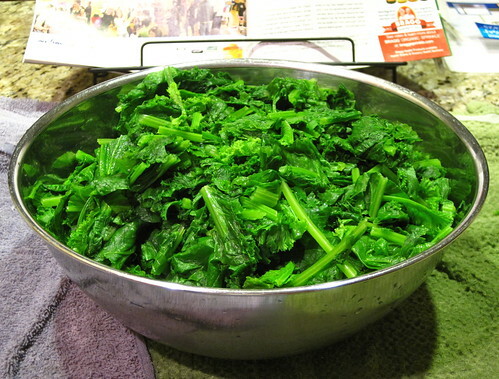 When the greens are ready for harvest, I cut them about 4-inches above the soil (most greens will keep growing if left in the ground). Then it’s inside for washing, trimming, blanching, then freezing. 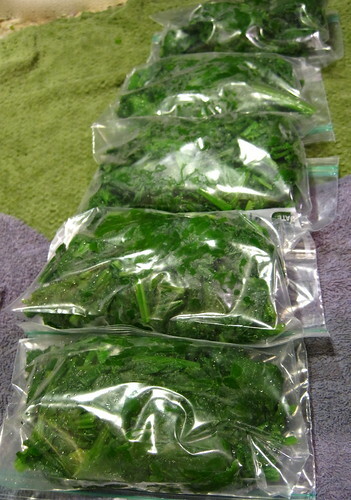 I like to freeze greens in 10-ounce “packages” so we can substitute them throughout the year in place of the more ubiquitous frozen spinach that so many recipes call for. I always grow too many radishes, James is quick to remind me. We don’t really even eat that many of them; we give most of them away. 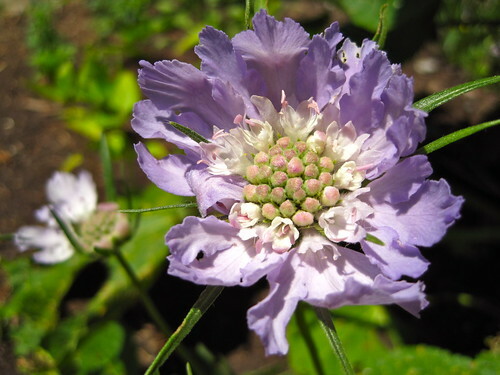 They grow so quickly and mature so rapidly it’s easy to plant too many, and yet they’re so reassuring to see in the garden in late-spring when it’s tempting to believe nothing but weeds and pests will ever come of all your work! Carrots are fickle, and take an eternity to sprout. 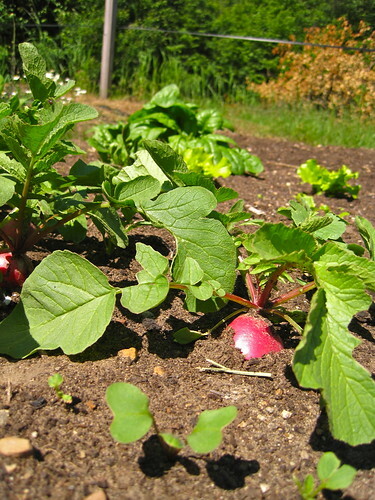 So, while I wait for their frilly heads to pop out of the spring soil, I take comfort in radishes, spinach and lettuces. 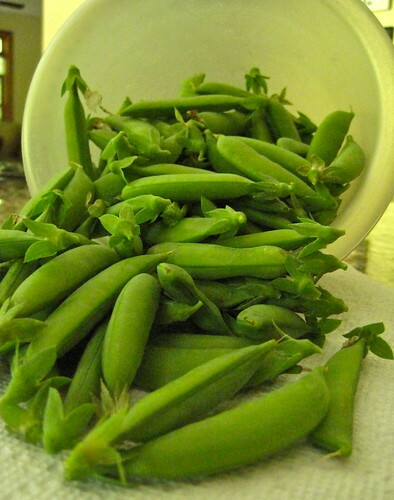 We also recently had our first snap pea harvest. I had them picked, cleaned, blanched, and into the freezer in less than two hours! 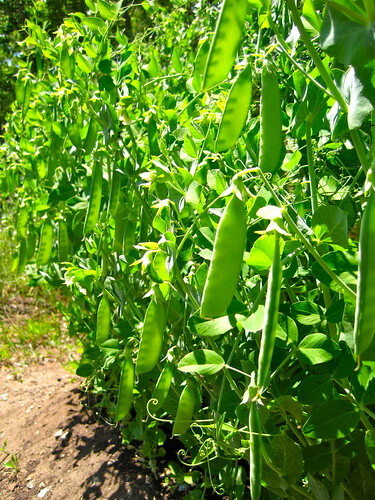 We’re also growing shelling peas, but those are still resting on the vines, plumping up with every passing day. 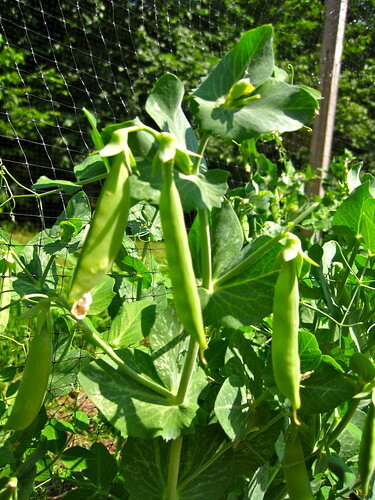 Another crop that demands an early-as-possible planting, this is the first time I’ve ever successfully grown peas! 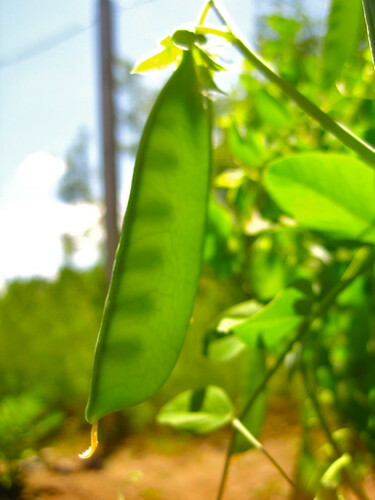 Frankly, this was the first time I was able to have a spring harvest of, well… anything. It takes a lot of gumption (not to mention effort) to brave the wiles of early spring enough to actually sow seeds into frigid soil. More often than not, the tiny window for spring planting has come and gone long before we’re ready to seize the moment. 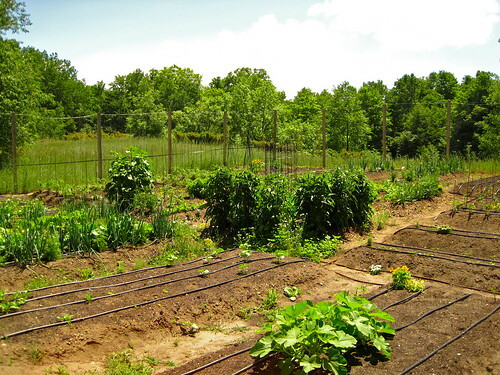 Looking back, the best thing about spring planting (other than getting to harvest earlier in the season) is an almost complete lack of pests since most of them are still asleep or not even fully born yet. Sigh… yes, the pests are now back — some of them with vengeance. If I strain my ears, I could swear I hear the sounds of millions of tiny jaws chewing non-stop. After our run-ins with cutworms, last year, we were at least informed enough to put paper collars around all of our transplants. 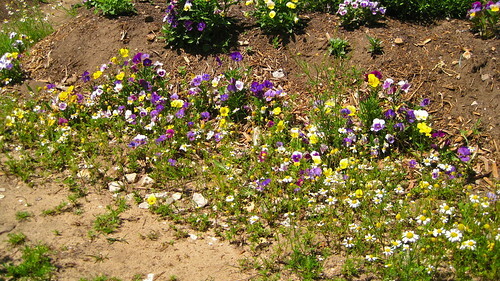 And, yet, when you sow literally thousands of seeds and countless transplants, you tend to miss a plant here and there. Amazingly, the cutworm manages to find these plants and decapitates them in his usual, efficient manner. The only saving grace is digging into the soil immediately around the victimized plant and vanquishing the nasty perpetrator. When I stomp a cutworm, the shock waves can be heard from far away, at least that’s what I imagine! 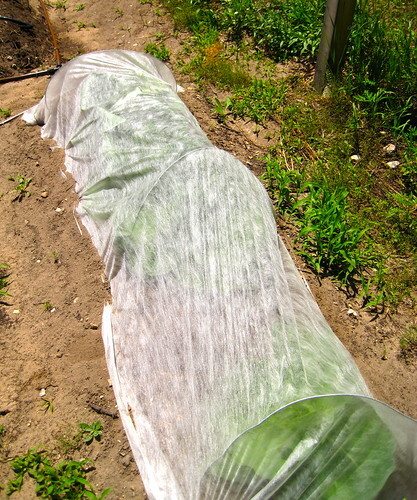 And then there are certain plants which are just so pest prone you have to go to extreme measures to protect them — our cabbage, for instance. Cabbage is a favorite entree of almost every pest I can think of. There have been times when I’ve seen a single plant inundated with at least three different pests at once! Floating row cover fabric is pretty much a last resort in our garden. 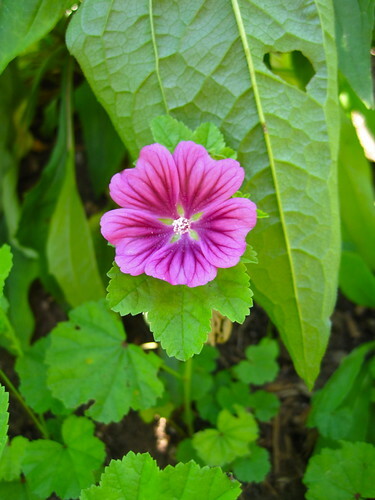 It keeps the plants safe from incessant attacks, but it also makes for an unsightly garden — especially when you like watching your plants grow as much as I do. I’ll confess: I have never successfully grown cabbage. This will be my third (and possibly final attempt). 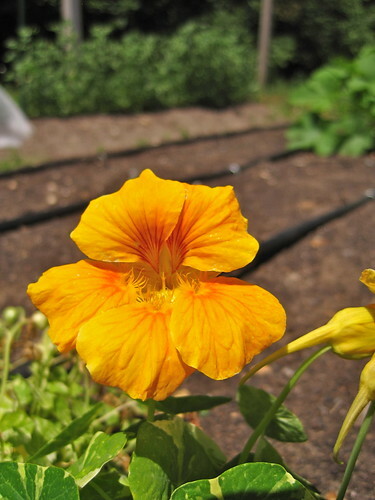 If the seedlings we transplanted in late May begin to bolt in the summer heat before forming heads, I’m willing to attempt a late-summer planting for fall harvest. But, if that fails, too, all bets are officially off! I guess that’s pretty much a typical garden for you, though — a mixture of the invited and the uninvited; the planned and the unplanned; the beautiful and the genuinely disgusting! When a self-identifying entomophobe starts digging around in the dirt and arranging plants, adventure is around every corner, under every leaf… buzzing or twitching in anticipation. There are moments, thankfully, where the good and the bad come together to perform an amazing balancing act. Suddenly, you look around, and all you can see is the good in everything that surrounds you. I had one of those moments, recently. I was kneeling to tie my eleventieth wayward tomato vine when I happened to look up. 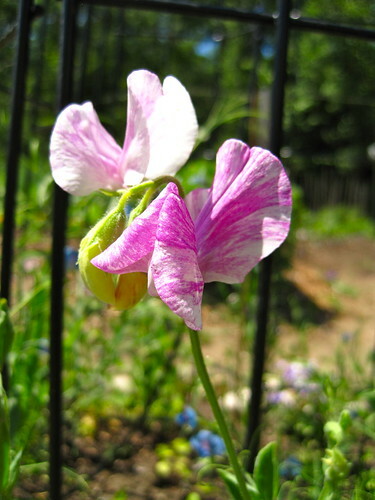 The breeze was blowing the scent of chamomile and lavender while the fuzzy heads of scabiosas and fragrant sweet peas nodded in agreement as honeybees danced about between random colorful blossoms. It really isn’t just creepy bugs and heat rash, after all! It’s also the smell of all these little green forces of nature struggling to thrive. 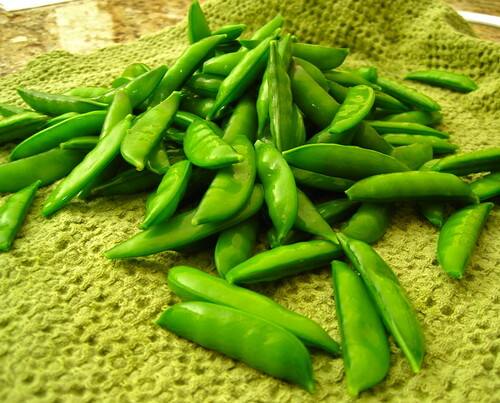 It’s the taste of pure sunshine that comes from tasting your first homegrown snap pea… indescribably sweet. It’s in moments like these when I’m glad I’ve talked myself, once again, into having a garden. ~ by Jason on June 30, 2013. As always, interesting, beautiful photos, and making me a bit jealous that you had your first crop in already! I find it hard to believe that I’ll get to see all of this next weekend! 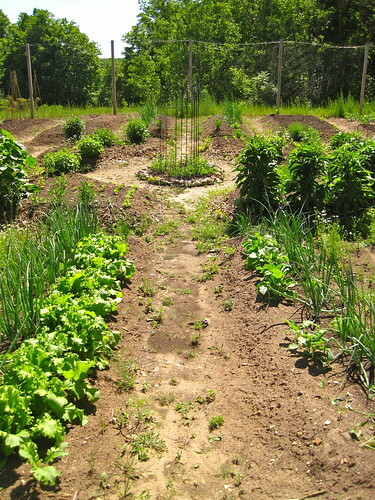 What an awesome garden! Your hard work is really paying dividends, Jason. Love watching a garden grow too 🙂 I heard a man say that if you mix a little liquid soap with water and put on your plants it keeps bugs away cause they taste and don’t like it! So they leave! Can’t wait to see it ! Looks great! 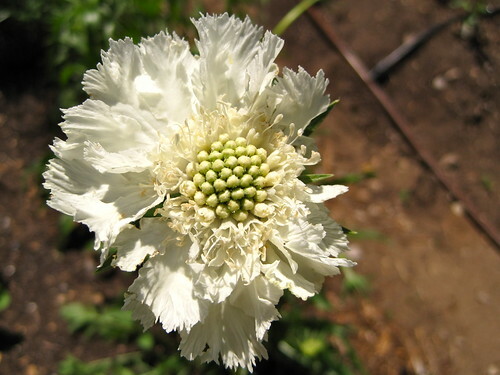 What is the white flower you have posted? 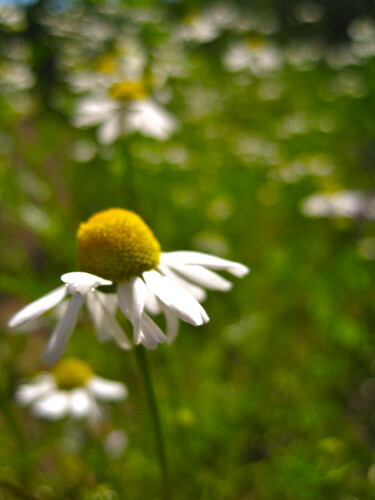 And I grow feverfew, which I thought was chamomile as well, but the “daisies” on mine are much smaller, with more of a yellow round center & a shorter white petal. Hmmm… mine don’t seem to be as scented as yours either.